The Fisher Price Jumperoo- I think this may be the BEST invention for infant entertainment ever! We all remember the doorway jumpers- cool idea, but kinda scary... I mean is it possible for the kid to get a running start and sling-shot himself across the room? Or worse that the whole contraption just fall off of the doorway?!!? I first saw the Fisher Price Jumperoo about 5 years ago when we lived in Texas. My friend Rachel's family was visiting her and they brought along their Jumperoo for baby Maddox. I thought it was the coolest thing ever! So of course, when we registered for our baby shower 3 years later, I made positively sure the Jumperoo was on the registry! Boy am I glad that I did! This was literally my little one's favorite infant toy, hands down! We started the Little Princess Pea in the Jumperoo at around 4 1/2 months or so. She was able to hold her head up and have control of her upper body, although we did add some rolled up baby blankets for extra support in the front. The Jumperoo has 3 different height settings so that it can be adjusted as your baby grows. Ours also came with a toy tray that had several different colorful toys on it. The middle toys was musical and had lights. You could set the toy to play continuously or play when the baby jumped. When we first started LPP in the Jumperoo, she could touch the floor with her tippy toes.... but enough so that she could get some sway to the jumper. She absolutely hated the swing that we shelled out $150 for, but the bounce of the jumperoo totally soothed her. As she got older, taller, and more in control of her reflexes, she bounced her heart out! Her favorite place to be while I cooked dinner was hanging out in the jumperoo. Also, it folds flat, so we took it on trips with us as well. She loved for people to watch her jump- she would get so excited that she'd just jump and laugh her little self silly! I feel like it really help to develop her leg muscles, and because you are basically hanging in a little seat, give her confidence in her ability to hold herself up. She was holding herself up on the furniture long before she started crawling. We loved the Fisher Price Jumperoo as did our little one. I recommend it to all of my friends who are expecting! This item is definitely a must-have! 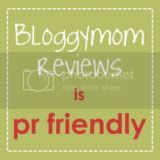 Bloggymom is going on hiatus until after the holidays. I have several hand-made Christmas gift projects this year, so I'm devoting my free time to those right now, but I'll be back after the holidays, I promise! Hope you all have a wonderful 2008 holiday season! The most useful baby gift I received? Hands down, OxiClean Baby Stain Soaker. Our friends, the Hutto's, gave this to us as one of our shower gifts and let me tell you- this might just be one of the greatest things ever invented! One of the major reasons that NONE of Little Pea's baby clothes are stained is because of this stuff! It's so easy to use too! You just fill the sink with warm water, add a scoop of OxyClean Baby to pre-soak, then wash- no stain scrubbing required! It actually does work on all kinds of "baby" stains... milk stains, diaper "leakage", baby food, juice, etc. And it's 100% fragrance, chlorine, detergent and dye free so it's not harsh on baby's skin. If you have a little one and have never used it before, I definitely recommend that you try it! It costs about $10 for a 3.5lb tub that will probably last 9 months or more. Don't you just love things that make life easier?!?! Huggies Disposable WashCloths are one of those things. We use the Shea Butter "flavor" but there are several others available. They are great because the soap is built into the super soft, super thick cloth. Unlike the regular washcloths that you have to keep squirting soap on, these stay soapy enough to wash baby from head to toe. All you have to do is wet, wash and toss! If you have young kids, I highly recommend trying them- or if you need a baby shower gift idea, buy a couple packs of these! I believe that they come 20 to a pack for around $3. All the reviews we read were right on! I hate when I see kids in infant seats who have outgrown them lengthwise.... you know what I mean...the baby's feet are hanging off the end of the seat b/c the seat isn't long enough. The Graco Snugride Infant Seat is longer than most other infant seats- that was a definite plus because we were able to get much more use out of it. The 5 point harness was also a must-have. The stroller was truly deluxe with every option you could think of, but still lightweight enough that I could lift it in and out of the car. The other great thing about this stroller is that it holds up to 40 lbs which means you'll get at least 3-4 years use out of it! The storage compartment is HUGE and great for outlet shopping! LOL Another added bonus is the clock/thermometer. If you are in the market for a safe AND affordable infant seat and stroller, I would highly recommend that you check this product out!